Professional ambulatory care nursing is a highly complex specialty where you will care for patients in environments that are not in hospitals. The main focus is in management of pain and general health education for patients who have chronic illnesses and injuries. However, if you were to ask many acute care nurses if they have ever thought about this speciality, many would not be sure. The reason for this is not that many schools of nursing cover ambulatory nursing or clinical experience in their courses. 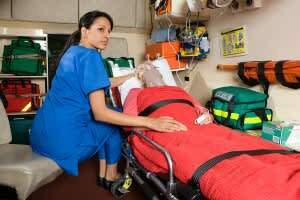 Nurses who go straight from nursing school to the hospital may not have a great degree of understanding of how ambulatory care nursing is different from regular acute care nursing. While there is a great deal of diversity in where the ambulatory nurse works, one of the common threads in these areas is that they all take place outside of the traditional hospital setting. The patients that this type of nurse cares for comes from and goes back to their home after treatment. Keep in mind that ambulatory care today is quite different from what it was 10 years ago. Patients today often are sicker and have more chronic diseases. Still, stays in the hospital are shorter, and complex medical procedures often are done on an outpatient basis. So the need for ambulatory nursing care is on the upswing. There is a lot of change coming for today’s ambulatory nurses. The Affordable Care Act is going to flood the health care system with millions of new patients. Many of these patients will be in strong need of ambulatory care. The ACE also is stressing prevention and primary care, which are two critical aspects of ambulatory care today. Also, the ACA stresses the medical home model in the delivery of care. Overall, the nursing field is poised for a high degree of growth, with a 26% growth expected in jobs by 2020. 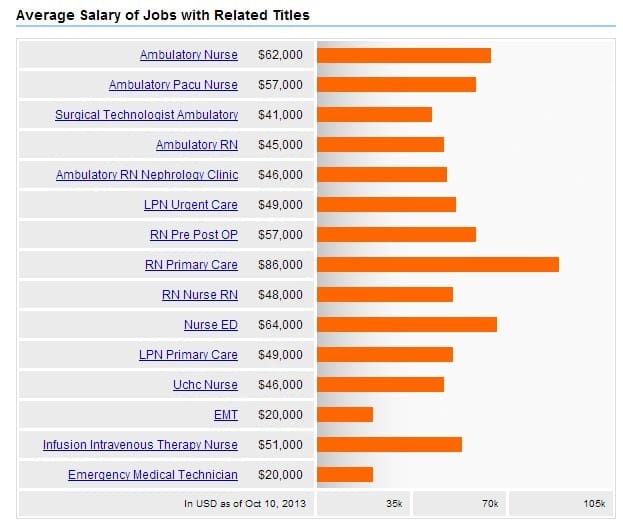 The bottom line on jobs in this field is that ambulatory care nurses will be greatly needed. Hospitals are hiring fewer full time staff nurses, so nurses who want good jobs will need to look into ambulatory care. 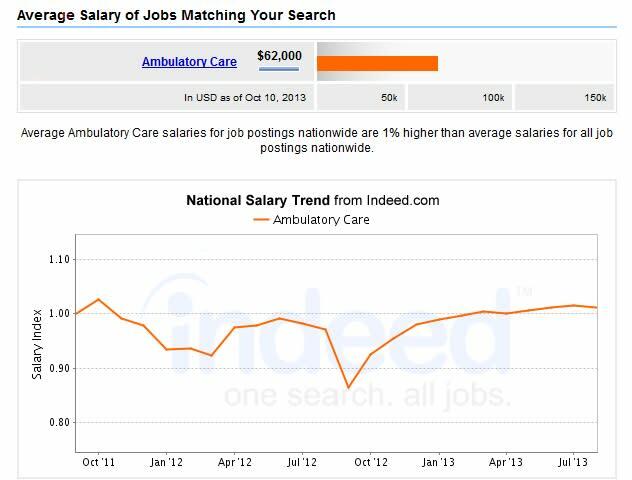 Indeed.com statesÂ the average salary for Ambulatory care nursing is $63,000. Ambulatory care nursing is charting a new path in health care. Health care is beginning to move away from the hospital setting, and RNs need to go with it. There will be many new opportunities for nurses in places that did not even exist five years ago. Ambulatory care nurses are highly skilled in the assessment of patients, are able to work in diverse settings, and can implement all kinds of nursing interventions. To be a good ambulatory care nurse in this new age of health care, you will need strong clinical and advocacy skills to deal with the diverse settings in which you will work. If you have these skills, and you want to have a high number of opportunities for growth in nursing, you should definitely consider this growing field. The great thing about YouTube is the array of quality videos on various subjects including Ambulatory care nursing. We’ve curated a few of the best Ambulatory care nursing videos currently available. #1 What is Ambulatory Care? Debbie Downe, manager of Ambulatory Care, speaks about the QEH Ambulatory Care Centre. J. McDonald (MSN, RN-PHN) reviews nursing care in ambulatory settings. Healthy People 2020 has a goal of increasing access to health services. Several factors limit this access. Nursing practice takes place in offices or clinics, schools, occupational settings, rural settings, and correctional institutions. Nursing practice with selected populations is discussed. Check out this episode featuring Maureen Apers a nurse in Ambulatory Care at the Sydenham Campus in Wallaceburg. American Academy of Ambulatory Care Nursing – National organization of professional nurses working within an ambulatory setting. Membership application, certification and conference information.